17, 18 June 2019 – Register now! At the Symposium on Computational Integration of Multi Omics data, we aim to promote the interdisciplinary exchange of knowledge and expertise between researchers working with different types of ‘omics’ data. This exchange will be complemented by a workshop on the analysis of single-cell RNA-sequencing (scRNA-seq) data. 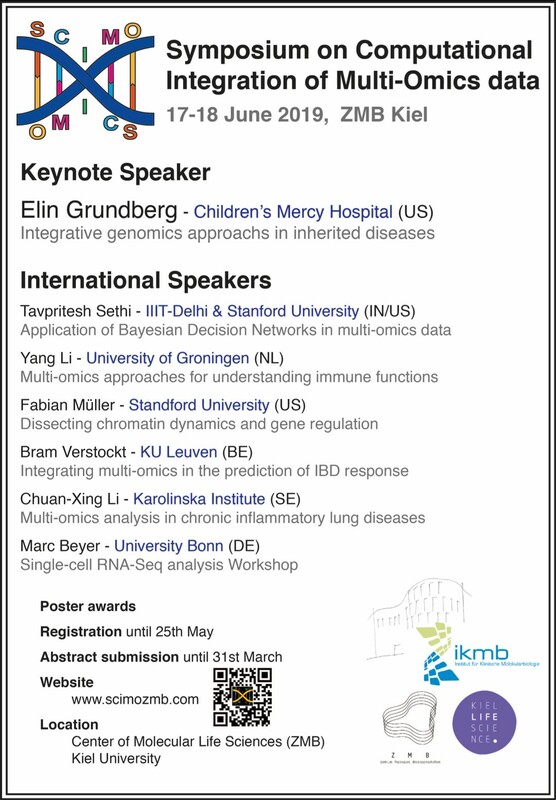 The symposium will be held at the Center for Molecular Life Sciences (ZMB) in Kiel. Register NOW (www.scimozmb.com) to be a part of the symposium.